Romans Commentary, Romans 12:1-13:14 – Open Our Eyes, Lord! Preachers like to divide Romans into two sections: the doctrinal (1-11) and the practical (12-15). It is better to read the epistle as one integrated message – Paul teaches how the gospel changes lives through Christ, and he then goes into the details of what the new life looks like. He does not and cannot teach an ethic as such, as if one could compile a list of basic Life Principles to share with the world. Rather, the Christian life is presented as a “sacrifice” (12:1). The Gentile believers of Rome had had plenty of experience with sacrifices in their old lives, when they “worshiped and served created things rather than the Creator” (1:25). Now they can worship the true God with the pleasing sacrifice of their very selves. The apostle has already shown in Romans 6-8 that if a person tries to combine two good ingredients – Torah observance, the gospel – he will by no means end up with a superior brew. Rather, they will turn and poison him and ruin any possibility of pleasing God. Instead, the believer must be one with Christ and live and walk in the Spirit. Only then will he find power to fulfill God’s overarching purpose, which is that all people live in love – and love is the fulfillment of the Torah. And so supernatural love, directed from within, is the theme that holds Romans 12 and 13 together: “Love must be sincere” (12:9); “whoever loves others has fulfilled the law” (13:8); “love is the fulfillment of the law” (13:10), the Torah. Paul does not give hundreds of rules (by the process of “casuistry”), to try and show the path of righteousness for every possible situation; that is what the rabbis would attempt to do in the Mishnah, collated and published around AD 200. The Christian must know the Scriptures and submit to the Spirit in order to understand what love is – it is a life based on a dynamic interaction with God himself. After he has reminded the reader about God’s mercies in Romans 9-11, Paul returns to the theme he had merely touched upon in 6:13 – “rather offer yourselves to God”. Now he shows that this is a way of life, to offer our whole person to God, not to earn acceptance, but because God has already forgiven and changed us by his “mercy” (see the same Greek word in 2 Cor 1:3). Let us explore some of the terms of this walk: for example, the word offer is a semi-technical term for offering a sacrifice (see its ironic use in Josephus, Wars 2.6.2 §89). Paul also calls the sacrifice living, that is, it is not an animal that is killed and then burned on an altar, for Christ’s people are, for the first time, truly alive: “live in accordance with the Spirit” (8:5). Paul labels this as “spiritual worship” (ESV) or “reasonable service” (NKJV), which in broader terms is “the worship offered by mind and heart” (REB, the better translation). This does not mean that it is the logical or rationalistic way of doing worship. Rather, it has to do with the inner person, the heart and mind; see also the renewed “mind” in v. 2. There is a parallel in Stoic teaching, for example, in Paul’s contemporary, Seneca: “The honor that is paid to the gods lies, not in the victims for sacrifice…but in the upright and holy desire of the worshipers.” (Seneca, De beneficiis 1.6.3; see also Wilckens, p. 339; Cranfield, p. 2.602). We might paraphrase Paul as saying, In your mind (that is, in prayer), offer your bodies as sacrifices which do not die but go on living. It is this type of sacrifice – not a sheep, not a bull, but a living human – that before God is “holy and pleasing”, since it is a work of the Spirit. There are several popular misinterpretations of the text. First is this notion that because “offer” is an aorist imperative verb, then it must refer to a “point action”, as if Paul were saying, Once and for all, completely submit yourselves to God. And so, a preacher speaks at a retreat and invites the youth to come forward and kneel and submit everything 100% to God, from now on. What is wrong with this interpretation? First, grammatically the aorist imperative does not mean once and for all action; that is a myth that never seems to die. Second, both Scripture and our common experience show that the Christian life simply does not work this way: most people who submit themselves and their particular sins to God on Saturday night will find themselves wrestling with the same temptations on Monday morning. Third, the interpretation would require that we make a perfect decision and achieve a perfect act of surrender – and who of us can decide once and for all to be done with wandering from God? No, the fact is that Christians should surrender themselves to God in this moment, later today, next week, and constantly, as a way of life. Paul continues in v. 2 to give a negative and then a positive. Again, this is a way of life, to reject this “world” of Adam, death and sin (see “not only in the present age but also in the one to come” in Eph 1:21) and to be transformed by the Spirit in a new mind, a new way of thinking, that results in righteous action, and that pleases God through Christ. The verb “do not conform” does not imply that the Romans were already conforming to the world, as another popular interpretation has it; Paul simply says that they should not do so. Christians live in in the world but are not victims of their environment – they can fly when the world tells them to swim (see our introduction to Romans 6). Christians must be continually transformed; this word is related to metamorphosis, but in this context, it has to do with a change of the inner person, repentance, not to a change from a caterpillar to a butterfly. The Christian is renewed from the inside out. This comes about, not by the Torah (7:23! ), but the Spirit, who in the beginning brought a new order to creation (Gen 1:2). Practical Thought: Paul rejects the two extremes: on the one hand, the Rationalist argues that one can come to the knowledge of God’s truth through careful reasoning and logic. This is the error against which Paul fought in 1 Corinthians 1-4. But the anti-intellectual extreme is just as false, that true spirituality has nothing to do with the intellect and that our connection with God is through the “heart” alone. The truth is that God created humanity with an intellectual capacity, and that it was fatally twisted in the Fall. But God is on the way to redeeming us, body, soul, spirit, mind. And in this life we must seek a continuous, daily, minute by minute transformation; there is no guaranteeing that if I am walking in the Spirit right now that I will be doing so in 10 minutes. What is “God’s will” that we can “test and approve”? Popularly it is thought to be some insight into the details of God’s life plan for us: if I surrender myself to God, I will know what job to take, or whom to marry, or what place to live in. But given the context, God’s will is much broader than life’s turning points. Paul is thinking of the daily decisions in which a Christian perceives what he should do and how to do it. In 2:18 he tells the Israelite that supposedly “you know his will and approve of what is superior because you are instructed by the law.” But what if a believer in this age is not bound by Torah? Then it is by the direction of the Spirit that people of the New Covenant have “the requirements of the law are written on their hearts, their consciences also bearing witness, and their thoughts sometimes accusing them and at other times even defending them” (2:15). This does not lead to a moral libertinism, since Paul himself is fond of giving rules about how a Christian should live (12:3-15:4!). But directions for living make sense only because the Spirit is teaching the same thing, within the deepest part of our beings; and only because Paul is teaching in the power of God’s grace (v. 3). Leading the agenda on how a Christian worships God and finds his will, Paul gives a paragraph on how they must treat one another. Paul cannot conceive of Christian merely as units, but only as members of a family. He takes us back to the Christian’s mind, the way of thinking he described v. 2 – it is through the Spirit and the “grace given me” that the apostle develops a correct opinion of himself (see especially Phil 2:1-4). No matter what their heresy, false teachers have this in common: they clothe themselves with humble words, but they are “puffed up with idle notions by their unspiritual mind” (Col 2:18; see also 1 Tim 1:7). All Christians, not only teachers, must begin with a deep sense of where they have come from, that it is purely by grace that they are who they are, and they must not be arrogant (11:20; 12:16), no matter what form that might take: some are boastful of their education; others brag that they have none; some talk about their wonderful spiritual gifts; others claim they are better than those hyperspiritual people. It is only through God’s gift of “faith” that each person can develop a moderate and humble understanding of his or her worth. In v. 4 he gives a condensed version of the teaching of 1 Corinthians 12 – we are members of a body, each one has some God-given capacity to serve, and we should be humble about what God is doing in us. Paul does not go into detail, as he did in 1 Corinthians, concerning glossolalia, which seems to have been more popular in Corinth than in Rome or Ephesus (see likewise Eph 4:11). In Romans, Paul does not emphasize so much the variety of gifts, but rather that each person must push forward in the use of his or her gift to the extent that their faith allows. People with the gift of prophecy are not simply “preachers” but those who give direct messages of God, to reveal what is hidden and to direct members of the church toward holiness. “…the message of the true prophet was the product not of his own intuition or even of his own study and research but of special revelation” (Hendriksen, p. 410). “Serving” is no more or less important than prophecy, and the servant must act in faith as well (as for example does Phoebe, 16:1-2), as do teachers, encouragers, people who give donations, people who direct, show compassion. Paul shows how the believer must show the power and fruit of the Spirit in all such ministries; otherwise, how can anyone work generously or cheerfully, or long tolerate house guests (v. 13), for example, when the believer is distracted or tired? While these gifts may be directed toward outsiders, Paul is thinking of the body of Christ, the community of faith: for how can Christians minister the gospel to unbelievers if they cannot even live in peace with one another? Like many letter-writers of his day, Paul sometimes gave a list of brief, staccato instructions toward the end of an epistle (see especially 1 Tim 5:12-22). 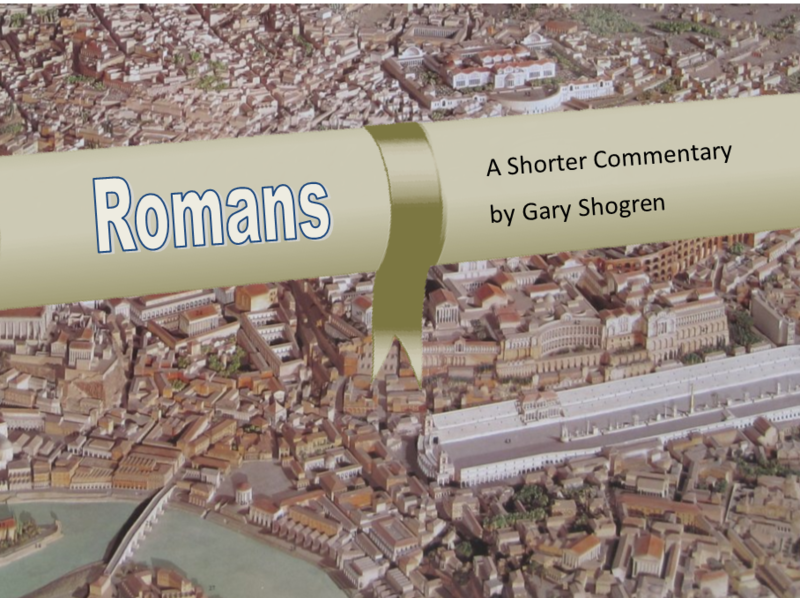 In Romans it comes early, following logically upon the new way of living introduced in 12:1-2, and is focused on “love must be sincere” or as in other versions, without hypocrisy or pretense. Practical Thought: “Love must be sincere.” It is easy to look like a loving person for a short period of time. For example, I was at a retreat with some fellow missionaries we see only briefly, once a year. Someone said, “I imagine that heaven will be like this! All of God’s people together, singing, worshiping, spending time with each other!” I agree. But I also wondered: what would happen if we were trapped at that retreat center by a storm or a flood? What if we ran out of water or food? What if that adorable child started crying and wouldn’t stop? What if the brother who talked a lot, and who was bearable for short periods of time, in due course would not shut up? As Christians we have the power to act miraculously. Any preacher can stride about with a warm smile on the platform for an hour and speak warm words of cheer. But is he the same man in the car to and from the church? In the home? Paul knows that false teachers tend to be charming in public, but since they would not and cannot draw on the power of the Spirit, they also tend to lose their patience and treat others harshly. Love does not mean we should be naïve: a transformed mind will know God’s will (v. 2) and also “hate what is evil; cling to what is good” (v. 9); see also 1 Thessalonians 5:20-22, where the church must discern between true and false manifestations of the Spirit. Paul again rephrases the meaning of love (v. 10) – “Be devoted to one another in love. Honor one another above yourselves.” The first clause is more specifically love each other deeply with the kind of love you would normally reserve for dear family members (and so “with brotherly affection,” ESV). He uses the word philadelphia, which is derived from “love” and “brotherly.” In both Jewish and Greek cultures, people regarded family members as the objects of affection. Outside Christian literature of the period, philadelphia is literally love for relatives. But in the gospel, one’s fellow believer is a brother or sister in a very real sense. Peter writes something very similar: “Having purified your souls by your obedience to the truth for a sincere brotherly love (philadelphia), love one another earnestly from a pure heart” (1 Pet 1:22 ESV). Vv. 11-12 reveal another fruit of the Spirit’s work, “fervor”. Again, the proof of spirituality is that someone can love, rejoice, show patience, pray and serve over the long term, without hesitation or fatigue. Another virtue that tends to tire people out is helping needy Christians (v. 13a). Paul makes the same point in another text: the Thessalonians were in an extreme situation with Christians who did not want to work. Paul tells the church not to support them, but also adds: “never tire of doing what is good” (2 Thess 3:13). Hospitality (v. 13b) was an important service in the early church, since Christians were constantly traveling on foot from one place to another and hotels were not dependable. It was not some abstract virtue, but one which the hosts of the Roman house churches practiced (e. g., 16:3); and Paul asks that Phoebe, who was hospitable, be received in the same way in Rome (16:1-2). Some theologians assert that Paul paid little attention to the life of Jesus on earth or to his teaching. This is hardly true, and here in v. 14 is an example of teaching that might come from Jesus himself: “Bless those who persecute you; bless and do not curse” (see Matt 5:11-12, 44). There was no shortage of people who might harass the Roman believers: they might lose their jobs, their family, their social status, their support. Jewish synagogues might go so far as to formally curse, beat, and expel members who followed Jesus. Christians must bless back, drawing on the power of the Spirit to keep their temper in an irrational and exasperating situation. 12:15 has a parallel in 1 Corinthians 12:26, where the intimate bonds between believers mean that we all suffer and rejoice together. Although Christians belong to the age to come, they still pass through circumstances that might make them happy or sad. Paul knows that we should be guided by God’s will moment by moment; but he also gives as a general principle that we should sit and be sad with sad people, and that we have the right – the responsibility – to be joyful when people rejoice (see especially Luke 15:6-7, 9-10, and especially the moping older brother in v. 32). When I have visited people who have lost a loved one, I read the Scriptures to them and pray, but I would not say, “Oh, don’t worry, things could be worse!” It is my duty to sit and feel grief along with them. In v. 16 Paul begins with a term that we associate with Paul: harmony. Typically in our culture we value individuality over unity; on the other hand, many can recall experiences when some Christian leader forced everyone to believe and act just as he demanded. This is not harmony but abuse. Harmony is a choice. It does not mean giving up our personalities but deciding that we will honor and work together even with Christians who do not resemble us (see Rom 14-15). It is the type of harmony that brings in love and drives out arrogance. Paul goes on to show how the gospel is counter-cultural: believers should mix together with “people of low position”. In the first century, people would plot how to move ahead by making powerful friends; the powerful befriended poorer people only to recruit them to their team. The movie “The Godfather” reflects this ancient model, with a powerful man serving as guardian to others, and they in turn surrender themselves to his will. This must not be so in the church! Rather, people of all classes must be loved and honored, simply by virtue of being fellow believers. “Do not be conceited” (v. 16b) speaks to the fact that people with renewed minds, focused on the cross, will have a realistic estimation of their own level of spiritual knowledge. Practical Thought: Because so many Christians of the Americas now reject the Catholic idea of weekly mass, and because we grasp that it is possible to worship God apart from a special building, many have gotten the false notion that we can thrive without being part of a local congregation. Some pride themselves on being Lone Wolves. Others get together with another believer over coffee to talk about Christ. Isn’t this good enough? Yes, by all means, get together with a few other chosen friends. But being the church must include a regular, open meeting with all types of believers who draw together at a predetermined place and time. Meeting with a friend requires a special invitation; everyone is invited to the church meeting. Sociologists and students of brain chemistry have proven that, no matter how broad-minded we think we are, “like” gravitates to “like”. It’s not in our nature to feel comfortable around people of different personalities or education or politics or level of spiritual zeal, and our brain is hardwired to resist diversity. This is why it’s a constant battle if any group survives without breaking into cliques or splitting up. It’s a miracle, literally, how any church can stick together. At church you run into those you like, those you don’t, people you look down on, and people with whom you connect. When you pull back from a non-homogeneous assembly and pour your energy into people who are like you, you are sifting through God’s people and selecting out a few with whom you have empathy. It is a dangerous path if we equate Christian love with having a nice time with a friend, no matter how spiritually enriching it is. Vv. 17-21 lay out a brief doctrine of how to react when harmed; it develops the context of persecution that was mentioned in vv. 12, 14 and in Romans 8. Once again, we hear the voice of Jesus (Matt 5:38-48; also 1 Thess 5:15). Christian should always be doing “what is right” in front of all people, not just the church. It is not always possible to live in peace with others, but as Jesus taught (Matt 5:9) the Christian is to be a peacemaker. But the Christian should not worry if it is impossible to bring about reconciliation (see similarly “live in peace” in 1 Cor 7:15-16). The Roman Christians were not yet persecuted by the government, as they would be beginning in the year AD 64. But they lived in poor, densely-crowded neighborhoods and could not depend on police protection if their neighbors ganged up to harm them. 12:20 begins clearly enough but ends with a difficult sentence. First is the thought that believers are to treat their enemies well. He quotes from the Greek Septuagint version of Proverbs 25:21-22 and develops what it means to respond with blessing to those who curse (v. 14) – not just words but actions of blessing and provision. He concludes the section in v. 21 with the same thought. But what means, “In doing this, you will heap burning coals on his head”? There are two explanations. One is that the fire of divine judgment will rain down on their persecutors, even more fiercely because of the peaceful attitude of the Christians. While this seems violent, it is the same teaching we find in other passages, for example that at Christ’s coming “God is just: He will pay back trouble to those who trouble you” (2 Thess 1:6). Another interpretation is that the Christians’ failure to react or defend themselves will cause the persecutors to burn with shame – this is the reading of the NLT, “burning coals of shame.” This seems to fit the context better, since the point is not to increase the punishment of one’s enemies but “overcome evil with good” in v. 21b, thus, that Christians will bless their pagan neighbors. This section must be read in context with the preceding chapter, where Paul has already outlawed vengeance. Now he teaches that the same attitude applies toward the government. It has never been easy over the past 2000 years for the church to define its proper relationship to the State; that is what makes Romans 13:1-7 a difficult text: Paul without attaching any conditions tells the readers to “be subject to the governing authorities”. The reasons he gives are that (1) they are established by God; (2) those who do not obey the government will be punished; (3) those who obey the government will be rewarded by it; (4) the fact that we pay taxes to the government, plus our respect, is because it is due them. Many Jews, especially the Pharisees, also believed that Israel should willingly submit to Rome, since it was considered to be God’s punishment for their sins against Torah. Practical Thought: The alert reader has an immediate objection: “Yes, but what about Hitler?”; it is common in our age to use him as the ultimate standard of evil. How can we say that a murderous dictator was established by God? That he punished the wicked and commended the good? That people owed him respect and obedience? What about those who hid Jews in their attic, knowing that they were breaking the law and risking their lives? Or Christians such as Dietrich Bonhoeffer, who actively plotted Hitler’s assassination? First, we must remember that Romans 13 is not the only passage in Scripture that deals with our relationship to government. On the positive side, 1 Peter 2:13-14 is similar to Romans 13, “Submit yourselves for the Lord’s sake to every human authority, etc.” – he goes on to speak of Caesar (Nero?) and his provincial governors (the NT mentions Pilate, Gallio, Felix, and Porcius Festus, for example). They are established by God and are even his “ministers”: Paul uses the same word in 13:6 that he applies to himself in 15:16 (see also Dan 2:21). Paul knew full well that Claudius, one of the better emperors of the first century, expelled Jews and Jewish Christians from Rome some few years earlier. But overall he regards a stable government as an aid to missionary work, not a hindrance (1 Tim 2:1-4). Second, Paul was writing at a time when the persecution of the church came not from the established government, but from mob action; this is still true today. In Acts 18:14-16, Gallio refused to hear charges against Paul, and for a dozen years more the policy of Rome was not to punish the church as such. It was only at the end of Paul’s life that he was condemned by the Roman government and, according to tradition, beheaded outside the capital. This does not neutralize the teaching of Romans 13, but it does put it in a context in which Rome was the protector of the church against its Jewish and Gentile enemies. Third, the New Testament also teaches that at times it is not only permissible, but a duty, to disobey authority. The apostles refused to be silenced (Acts 4:19 – “Which is right in God’s eyes: to listen to you, or to him?”; 5:29 – “We must obey God rather than human beings!”). The saints must not receive the mark of the beast (Rev 14:9-12), that is, must not participate in his religious-political-economic system. How does the Christian reconcile these principles? First, Paul urged obedience to a government that was in many ways corrupt, evil, oppressive, cruel. He was not naïve about what governments could do. His own Savior had been crucified, even though innocent. For example, the group “Transparency International” reveals how much fraud, bribery, corruption exist in the various countries of the world. Second, it is all too easy for Christians to reason that the government of their own country is supremely wicked, and that the believer should reject it entirely. In my country I have heard plenty of believers state that Our president is as bad as Hitler – or even the antichrist! You wouldn’t obey Hitler; thus you shouldn’t obey this president. This game is too tempting to play, since there has never been a “righteous” government. And some of the accusations that are thrown at the government are of the nature of “I find this law inconvenient, inconsistent, or oppressive, and therefore I am free to disobey it.” It is also true that, given the polarized political parties of modern times, we tend to exaggerate the faults of the other, while minimizing the errors of our own party. Third, there are oppressive governments, and Christians throughout the ages have considered whether they should actively rebel against them or passively resist. For example, the Maccabees rebelled against Syria, resulting in the formation of a quasi-independent kingdom of Judah. Yet Jesus was neither a zealot nor a revolutionary; he told the Jews to submit to Caesar (Luke 20:25). Later, in Paul’s day, some in Israel would rebel against Rome, leading to the destruction of Jerusalem and its temple. An example of how complex might be the application of these verses comes from the study of a group of activists from the early 1960s, called the “Freedom Riders.” In effect they obeyed the federal law of the United States, which had made racial segregation illegal, and pushed rebellious state governments to enforce those same laws. So they were in compliance with national law but in disobedience to local law, and many suffered violence from mobs. An interesting question would be, How would Paul have regarded their mixed motivations and actions? Taken all together, the New Testament pushes the church in the direction of non-resistance against the government, even obedience to wicked governments, but not beyond the point where the Christian is forced to sin against God. Although that goes against the spirit of our times, it is God’s instruction for the redeemed. The topic of taxation comes up in vv. 6-7, within a broader context of rendering to authorities what is their due. It is not just property or income taxes, but any tribute that Rome demanded from subject countries (it is the same word, phoros, that the Jewish leaders used when testing Jesus in Luke 20:22). He also tells them to give the authorities respect and honor. Some have used 13:8a, “Let no debt remain outstanding” (traditionally using the KJV version, “Owe no man any thing [sic]”) to mean that Christians should not take out loans or use credit cards. The Christian should be wise about consumer debt, but that is not dealt with in Romans 13, which has to do with what do we owe the governing authorities. We should render people what we owe, and not delay; “outstanding” debt is the key word. Paul then goes on to say that the only “debt” that we should keep paying again and again is the responsibility of loving one another. Practical Thought: Both Jesus and Paul told their audiences to pay their taxes, whether they seemed fair or not – and for many believers in the first century, taxes were a hot topic. While the burden of tax collected was not high, they were unevenly applied, with tax breaks given for friends of the powerful. Imperial provinces such as Judea had to pay for the very army that occupied their land. One major tax, the poll tax, was regressive, that is, the poor paid the same amount as the rich. The average person could not understand the tax code and could be forced to pay a fresh tax without warning. When citizens perceive that their money is being misused there is a temptation to evade taxes. The Christian is responsible to pay those taxes, while the government is accountable to make taxation fair, understandable and transparent. Paul uses the favored early Christian verb for love, agapaō; usually he employs the noun form agapē (see Rom 12:9; 14:15). These words were not invented by Christians nor by the Jews. And although we are swimming against tide of a million sermons in saying so, the word group does not necessarily mean deep love or divine love. That is an idea that was propagated in the Thayer Greek lexicon in the 19th century and has not yet died. The fact is that agapē was a rare but known word in pre-Christian Greek, which then became popular in Christian idiom. It does not necessarily mean divine love; in fact, 1 John 2:15 uses the verb to warn, “Do not love the world.” On the other hand, another verb for love, phileō, is not merely “to like” someone; in fact, it may be used of God’s love for his people (John 16:27). We perceive that the love of Romans 13:8 is divine love, a gift of the Spirit, because of the context, not because Paul uses one verb or another. What a miracle, and what a jarring statement, for Paul to say that “whoever loves others has fulfilled the law” (v. 8b). This is certainly not what he was taught in rabbinic school: they would have given much weight to the command to love, but no-one would have said that if you love then you have already fulfilled the requirements of the Torah, which amounted to about 613 laws, not to mention their traditional interpretations. Paul does not contradict what Jesus taught in Matthew 5:17, that “Do not think that I have come to abolish the Law or the Prophets; I have not come to abolish them but to fulfill them.” What Jesus is saying is that he did not come to lead people to apostasy from Torah (that is, he teaches that the Torah is eternal, Matt 5:18); rather he came to fulfill Torah and as we see in the gospel he gives his people the ability to do God’s will. What a person “in the flesh” cannot do by trying hard to obey the Law, the Christian can do miraculously, and by loving “fulfill the requirements of God’s law” (NLT). Paul does not say “if you are loving, it will be natural for you to fulfill the other hundreds of regulations.” God’s people have already fulfilled the Torah (8:2) by being one with Christ. And in daily practice or praxis they fulfill the Torah completely if they think, feel, speak, act in love with all whom they come across. Some rabbis thought that one command or another was the basis for the other commands, as if one could deduce the other laws from the one principle. Hillel, the teacher of Paul’s mentor Gamaliel, taught “‘What is hateful to you, to your fellow don’t do.’ That’s the entirety of the Torah; everything else is elaboration” (b. Šabb. 31a [Neusner]). But they would go on to say that love for one’s neighbor must be expressed by observance of all the commandments. Paul is turning this logic on its head, saying that loving one’s neighbor in God’s way is already the fulfillment of all the laws. Paul mentions some of the Ten Commandments, out of order: commit adultery, kill, steal, covet, (7, 6, 8, 10; it is possible that Paul is following another traditional order than that found in Exod 20) and adds “whatever other command there may be”. He is not speaking just of the other six commandments, but of the rest of the 613 laws of Torah. He has already shown that a Spirit-directed believer will turn away from idolatry (the first two commandments). But at the same time, Jews apart from Christ in effect cannot obey even the most fundamental commandments: theft, adultery, idolatry (2:17-24). One commandment that is noticeable by its absence is the fourth, to keep the Sabbath day. A later rabbi would assert that it is the Sabbath law that epitomized God’s will: “if Israel kept the Sabbath properly even for a single day, the son of David would come. Why? Because it is equivalent to all the commandments” (Rabbi Levi in Midrash Exod Rabb 25:12). The theme will come up in Romans 14, where some Jewish believers honor the Sabbath, but the Gentiles do not (14:5). Again, some observe some type of food regimen, while others do not (14:2). There is friction in the church – who is right and who wrong? Paul says there is freedom to make one choice or the other, but that the command to love will resolve all difficulties between Christian and Christian. Paul quotes from Leviticus 19:18, just as Jesus did when pressed about which is the great commandment – “Love you neighbor as yourself.” Who is the “other” (v. 8b) or the “neighbor” (v. 9)? To begin with, he is referring to other believers (esp. 14:1-15:7). Nevertheless, he has shown in this section that he is speaking about all people (esp. 12:14-21). In the original context of Leviticus, the law of love means that slander, hatred, and vengeance are forbidden to Israel. To sum up, in v. 10 Paul expresses the principle in negative terms, as a so-called Silver Rule, perhaps in the way that he had inherited from Hillel (see above) – “Love does no harm to a neighbor.” And once again, love is the fulfilling of Torah (plērōma, the noun form; Jesus uses the verb in Matt 5:17). To return to an ancient question, Who is my neighbor? : in the parable of the Good Samaritan, the “neighbor” is the one who happens to come across the victim. Some might call their meeting a coincidence, but the believer must assume that whatever person crosses his path has been sent by God and not by luck: “Fulfilment of the law involves not just loving someone other than oneself, but loving each man whom God presents to one as one’s neighbour by the circumstance of his being someone whom one is in a position to affect for good or ill. The ‘neighbour’ in the NT sense is not someone arbitrarily chosen by us: he is given to us by God.” (Cranfield, p. 2.676, emphasis in the original). In modern times, when the mass media bring foreign people into our homes, we are even more responsible to seek justice for others: for example, we now can determine whether the clothes we wear were made by children who live in virtual slavery. Thus, our standard is hardly unique – what separates the Christian message from all others is the work of Christ, which revealed God’s loving to us (5:8); and the power of the Spirit, who molds us into loving people (15:30). For those Christians who can relax only when they have lists of rules to follow, the simple command to love one another seems vague, subjective, and even perilous. They feel more in sync with those who believed that a walk of 2000 steps (1 kilometer) did not break the Sabbath, but taking one step more was a sin (see Acts 1:12); or that one is obliged to forgive seven times, but not eight. For its part, the law of love is liberating, but at the same time an exacting master. We are obligated to seek the Spirit’s guidance and power, rather than check off “holiness boxes”. We are forced to use our minds – and we have a transformed way of thinking! (Rom 12:2) – about what is loving behavior. We are pressed to behave in ways that are new and strange to our old selves. We are led to do more than seems reasonable, now to speak courageously and now to close our mouths, to be cheerful and generous when others think we are being taken advantage of. Loving people aren’t those happy souls who go around with smiles and hugs for everyone; they are not the ones who do nice things for their friends – they are the ones who cross boundaries, make costly choices, and take daring action in the name of Christ. Paul now gives an appeal for the believers to renounce sin and live in righteousness. It may have been an early Christian hymn that he quotes; at least we can say that it is language that is taken from Isaiah (light and darkness), and clearly a favorite motif of his. The Qumran sect also used that language but took it in a different direction. Paul’s entire mission was to turn Gentiles from darkness to the light of salvation (Acts 26:18; see Isa 9:2; Col 1:12-13; 1 Pet 2:9; and ironically Rom 2:19). The light/darkness distinction was also an appropriate way to describe the Christian life as distinct from the world, as is awake/asleep (2 Cor 6:16; Eph 5:8; 1 Thess 5:1-11). Here as in 1 Thessalonians, darkness is the cover people use when they practice hidden sin. It is also true in 1 Thessalonians 5 and here in Romans that there is an eschatological side: we are of the day in the present, but it is not yet fully light. So believers should wake up (v. 11), that is, be fully alert in their spirit and separate from the works of darkness (vv. 12-13). Paul uses the image of “armor”, taken from Isaiah 59:17, which Yahweh dons to execute his wrathful judgment. In Paul letters the believer puts on the armor (here; 1 Thess 5:8; 2 Cor 6:7; and especially Eph 6:11-17). In Romans the idea is putting on and taking off clothing; “put aside” is the same word used in Acts 7:58. The old clothing is a short list of stereotypically Gentile sins (1 Thess 5:7 is similar and has only “drunkenness”). Putting on the armor characterized by the light of salvation means that the Christian will do battle with darkness, both in his social setting and in his own heart. It is parallel with “clothe yourselves with the Lord Jesus Christ” (v. 14). This latter is the same as putting on the new person (Col 3:9-10 and Eph 4:24); it is one more way of describing the Christian as a new creation. To close this section, Paul returns to the possibility that a Christian might sin, and issues a strong warning: “do not think about how to gratify the desires of the flesh” (NIV) or “make no provision for the flesh” (ESV and others). Even at the highest moments of victory, the desires of the old way of life interject themselves and the Christian might plan for future sin – by purchasing a bottle, by downloading image files, by storing up bits of gossip, by mentally listing reasons to be anxious and afraid. None of this! the Word teaches us. One point remains: what does Paul mean by vv. 11-12a, where the coming of the final Day is looming every closer? The widely-held viewpoint is that Paul believed that the Second Coming must take place in his lifetime. While there is some evidence that might be used to prove this, there is also evidence that Paul expected he would die before the End came and that the signs of the End had not yet appeared (2 Thess 2:1-11) and that he might die beforehand (2 Cor 4:14; see also 1 Cor 6:14). In v. 12 he speaks of the urgency that the Day is closer – which loses some of its punch if all that Paul meant to say was, “We thought it would happen by now, but at least we can say it is closer than ever!” In addition, he may be thinking of the eschatological destruction of Satan in Romans 16:20. Nevertheless, in neither passage is the coming of Christ clearly imminent and it seems best not to press them in that direction. 13:11-14 is a fitting conclusion to Romans 12-13. It takes us back to 1:18-32, where pagan idolaters lived in dozens of forms of “sexual impurity”, committing murders, drunken orgies, and all sorts of strife and arrogance. They spent their time inventing clever ways of doing evil (13:14). In chapter 6 Paul addressed the charge that he daily faced: how can those same Gentiles simply confess Jesus as savior and be expected to behave properly if they aren’t taught to obey the Torah? My class and I recently toured the local Jewish synagogue, and we were amazed that new converts to Judaism had to go through five long years of instruction before they were accepted into the people of Israel – their thoroughness should put us Christians to shame. In chapters 6-8 Paul answered the issue by showing that Gentile Christians are not the old model of human being with the addition of a new affiliation; rather they are a new race of people who through the Spirit can obey God as no-one ever had, whether Gentile or Jew. And now in Romans 12-13 he shows in great detail that the gospel is effective, that it is transformative, that gospel people are prepared for the coming of judgment day. Paul is interested in results, not hypotheticals. And those who believe in Christ take a radical turn toward God, and “to those who by persistence in doing good seek glory, honor and immortality, he will give eternal life” (2:7). We have seen that Paul does not simply hand out a list of rules for Christians to follow. How does that compare with how churches disciple their new Christians? The world is continually trying to press us into its shape, its way of thinking, feeling, believing, acting (12:3). What are some areas where you struggle with this today, and areas where other Christians in your culture feel this pressure to conform? The love that Paul describes in these chapters comes supernaturally to us from God. What are some ways we fail by relying on a human level of love for other Christians? How can we break away from shallow forms of love? Thou shalt not bear DIGITAL false witness!